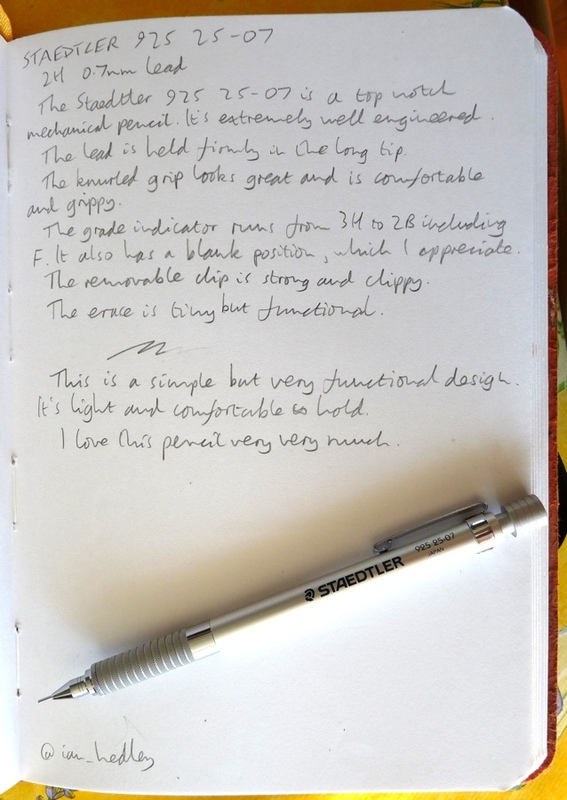 Staedtler 925 25-07 mechanical pencil review – Pens! Paper! Pencils! The Staedtler 925 25-07 is a metal barrelled mechanical pencil available in 0.3, 0.5, 0.7, 0.9 or 2mm versions. They can be found for around £16 in the UK or $20 in the US. This is a very well constructed pencil. There is a slight wobble to the knock but other than that everything is solid. The clip is reasonable and removable if you don’t want it. 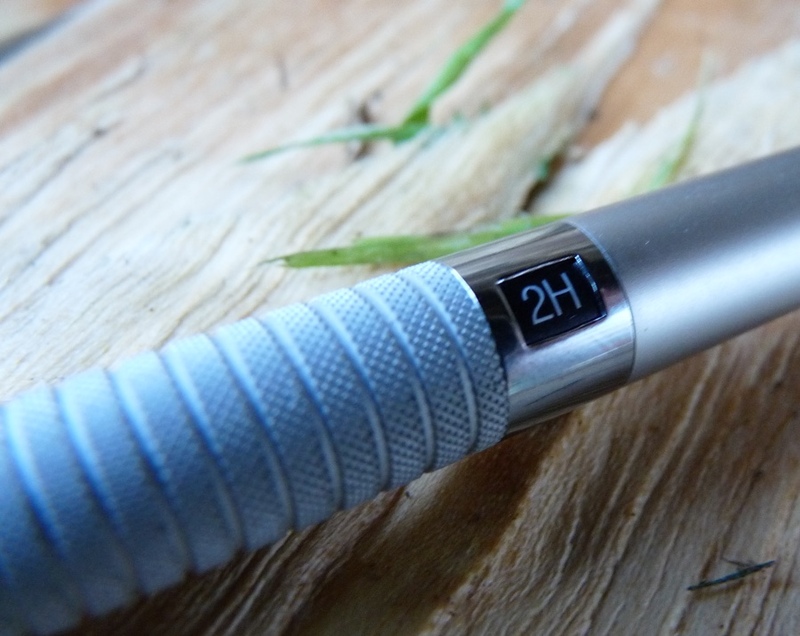 The knurled metal grip is comfortable to hold and, together with the stylish step down to the lead sleeve, extremely well engineered. The pencil is light but feels robust. It makes for a good writing experience. The lead is held firmly and advances smoothly. 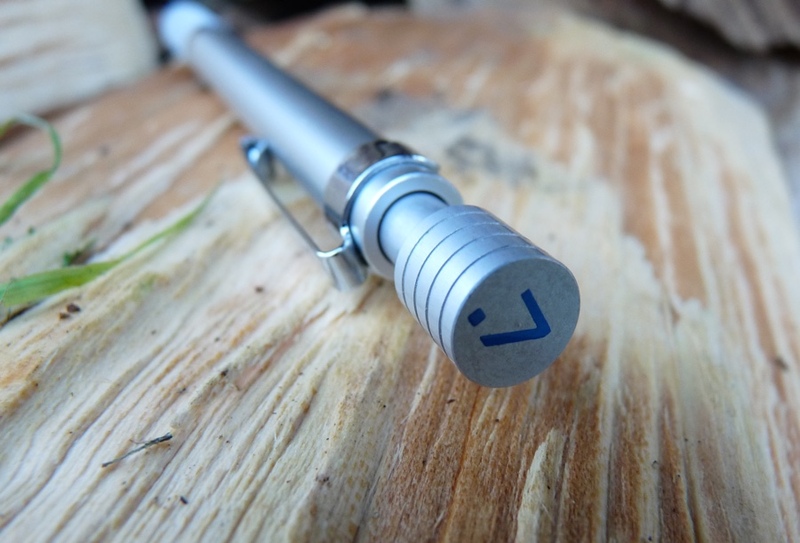 The lead holder has space for several spare leads. The grade indicator ranges from 2B to 3H, including F.
The lead size is shown by a big number on the end on the Japanese import versions, like this one, or by a coloured ring otherwise. The number is hard to miss and adds to the technical feel of the pencil. Under the knock there is the usual barely-worth-bothering-with eraser, as well as a clearing pin. The eraser works but it’s pretty small. I like this pencil a lot. 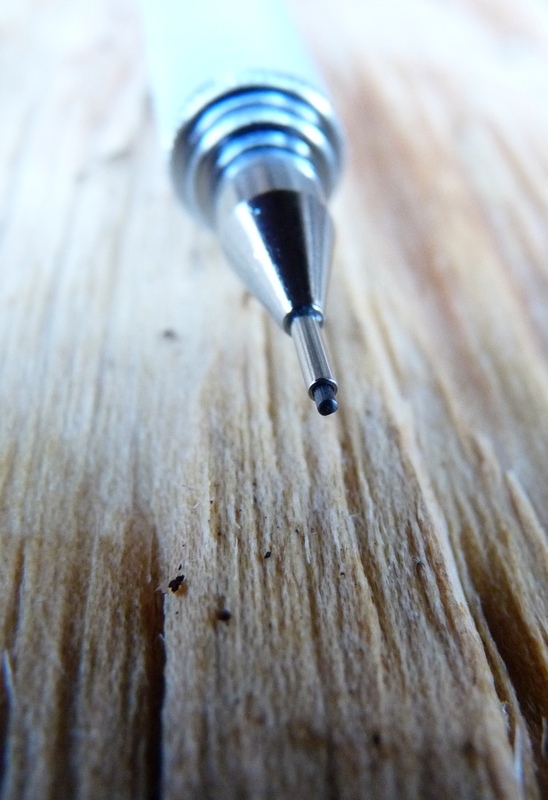 The quality is every bit as good as the Rotring 600 and I prefer how it looks, subjective though that is. 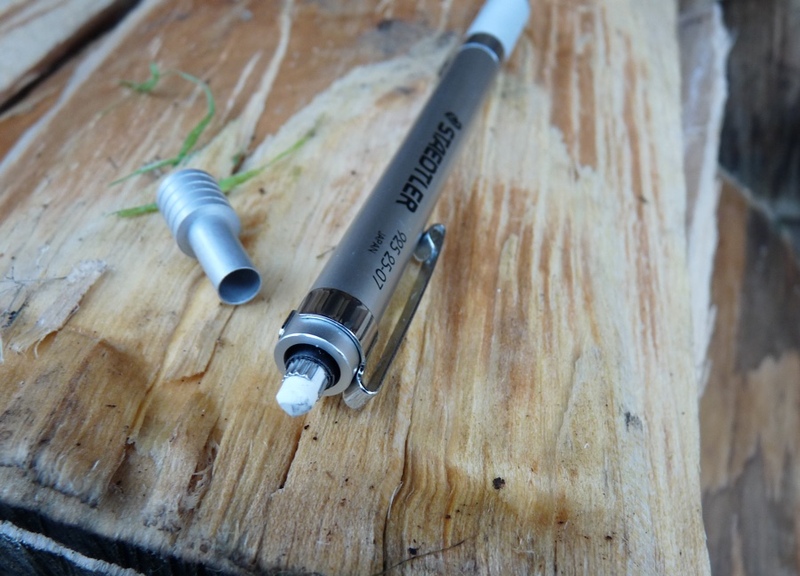 The Rotring wears its engineering on the outside (and looks great for it); this Staedtler keeps it all wrapped up. 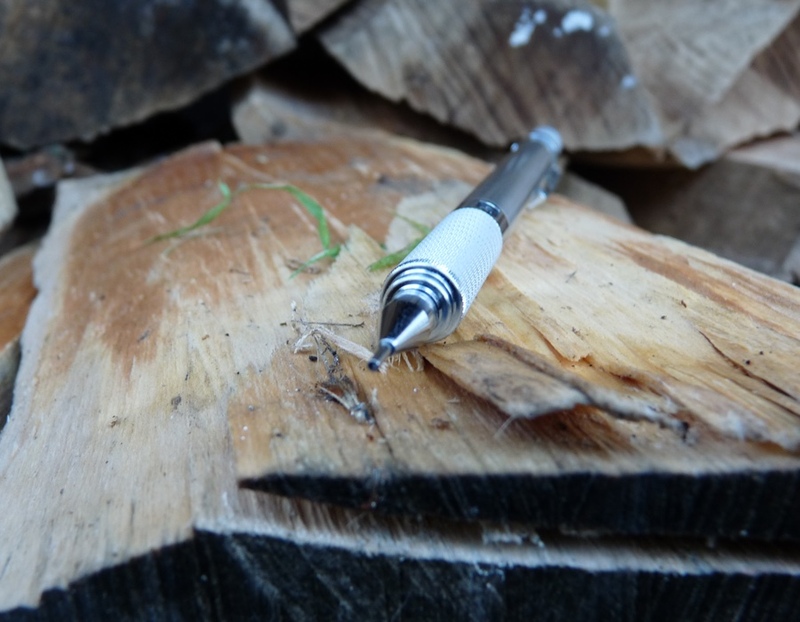 The looks, the quality and the sheer pleasure of writing with it make it (currently) my favourite mechanical pencil. Good review! I’m on a bit of a mechanical pencil kick myself. I’m loving Pentel’s designs lately, but I’ve always been curious about the Staedtlers. It’s a very fine pencil. I hadn’t taken a proper look at Pentel’s pencils before, I always skip over them as a brand, but you’ve prompted me to take a look now and… oh dear… they have some very interesting looking ones! I shall be saying bye bye to more of my money soon, I think. I picked up one off amazon a few months back and really like it as it is extremely well made and solid however I got it for a lot cheaper for £9 ordered from Japan. It only took a week to get here as well. Yes I got mine from Japan, via Amazon, too but I thought it would be better to list UK and USA prices. It’s a great pencil.